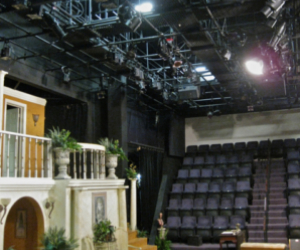 Centre Stage - Productions Unlimited, Inc. | Productions Unlimited, Inc.
Centre Stage, a quaint theatre located in downtown Greenville, South Carolina, was our very first project. Upon its inauguration in 1983, Centre Stage had yet to plant its roots into a permanent home. After 14 years of moving around, the theatre finally established a facility of its own. 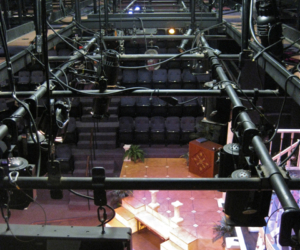 Greatly in need of theatrical installations, the folks at Centre Stage called upon Productions Unlimited to help them create a first-class performance space for their 285-seat facility. In its many years, the theatre has always served as an outlet for creative expression of all kinds, hosting events that range from traditional productions of Shakespeare to art exhibits and musical performances, to name only a few. To promote this diversity, we needed to create a space that boasts maximum efficiency and exceptional versatility. To accomplish this, we designed and installed a suspended, bridge-accessible grid as well as a state-of-the-art lighting system. 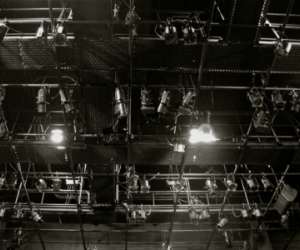 The grid hangs above the entirety of Centre Stage’s theatrical space, affording an impressive range of design possibilities for lighting the theatre’s thrust stage. Because lights can be hung from virtually anywhere, the designer is able to create lighting that brings performers to life from every perspective in the audience. The flexibility made possible by the grid is amplified by the comprehensive lighting system we installed. 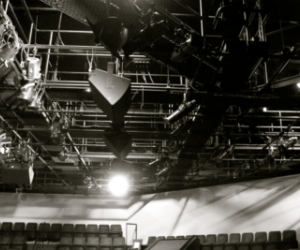 At the core of this system is a fixture package of ETC Source Four ellipsoidals ranging from 19° to 50°, as well as PARs and PARNels, all elegantly controlled by an ETC theatrical dimming system. 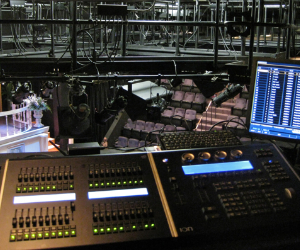 An ETC Ion console serves as the theatre’s user interface, and a Unison control system provides convenient, easily accessible lighting for both the house and the stage. 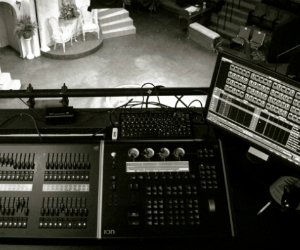 This high quality system, in conjunction with Centre Stage’s unique and intimate setting, will continue to provide audiences with top notch productions for years to come. 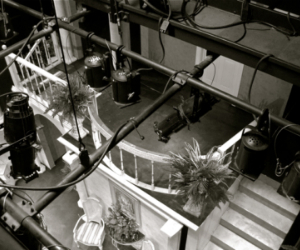 Productions Unlimited, Inc. is proud to have Centre Stage as our very first installation and we value the relationship we have built with their crew for the past 20+ years.